Are there any “N’awlins” food fans out there? Well, Disney’s Port Orleans Riverside Resort table service restaurant, Boatwright’s Dining Hall, needs to be added to your Disney must-do list! Known for their incredible southern-style dishes, Boatwright’s has gone from a hidden gem to a favorite place to dine for many. Why do we love Boatwright’s Dining Hall? Here are our top 5 reasons why we just can’t get enough Boatwright’s! Located in Disney’s fantastic Port Orleans Riverside Resort, Boatwright’s Dining Hall beckons not only those staying on the Port Orleans Resort property but all guests visiting Disney. One of our favorite things about Boatwright’s has to be the superb location! 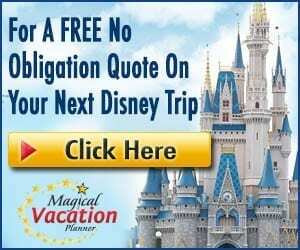 Before or after dining, it’s fun to take advantage of the Port Orleans perks such as their beautiful boardwalk next to the lagoon, a horse-drawn carriage ride through the resorts, and the neighboring Port Orleans French Quarter which is fun to explore. Before or after your meal and exploration, you’ll want to check out the fantastic entertainment located right next to Boatwright’s – River Roost Lounge which has the intriguing musician and comedian, Yehaa Bob. Yehaa Bob is not only extremely talented with the piano but is hilarious with his little comedic, yet family friendly, remarks. 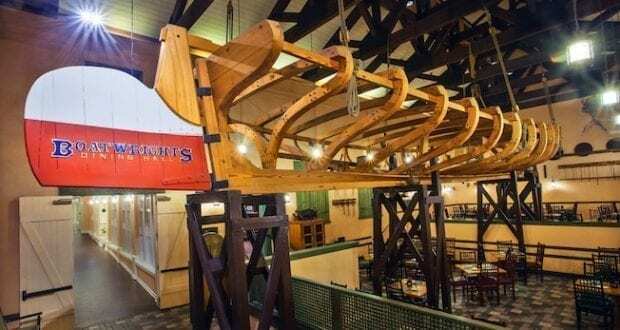 As you head from the Port Orleans Riverside lobby towards Boatwright’s, you’ll immediately spot the large boat structure hanging from the ceiling directly above Boatwright’s entrance which sets the tone for this rustic shipyard themed restaurant. The atmosphere in Boatwright’s is very casual and comfortable with airy space and unique boating and nautical décor. We especially love the glow at dinner of the metal lanterns hanging from the walls and ceilings plus the warmth of the fireplace. We’ve had wonderful experiences at Boatwright’s as a family, but also magical moments as a couple having a romantic evening. The Louisiana Bayou flavors come to life with every bite at Boatwright’s! Open for dinner only, you’ll want to be sure to prepare your appetite for a hearty meal. Of course, we must first recommend the scrumptious Jambalaya which Boatwright’s is known for. It is absolutely delicious along with other favorite menu options such as the Deep South Shrimp and Grits, Voodoo Chicken, and The Big Easy. Don’t limit your selections to just the ones on our list of favorites as we have yet to be disappoint with a meal at Boatwright’s. Finish off your dinner with one of their many dessert selections such as the rich Bourbon Street Pecan Pie or the yummy Joie de Vivre Peanut Butter Mousse Cake. Alcoholic beverages are available as well as adult dessert beverages which are heavenly. Once we finish our meal and dessert, we like to head to River Roost Lounge right next door to continue the exciting evening with music and drinks. There is no doubt about it – when dining at Boatwright’s the atmosphere and food will make you feel like you’ve settled into New Orleans in no time. But, the icing on the cake at Boatwright’s is their exceptional service with an extra dose of southern hospitality. You might hear a few “Yes, sir” and “Thank you Honey” lines in your conversations with the Cast Members which we just love! This charming touch of south hospitality just adds to the already great experience of dining at Boatwright’s. When you are ready to experience Boatwright’s dining hall, we highly recommend making advanced dining reservations 180 days out if at all possible. 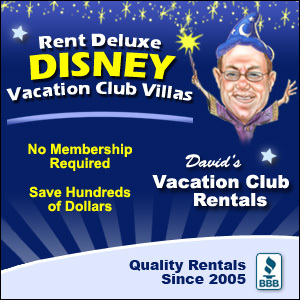 The great news however is that this resort restaurant typically does have availability a couple of weeks out for reservations. Don’t hold us to that however, as even on some of our spontaneous trips we’ve been unable to snag a reservation for the day and time we’d like. Make a reservation and that way you are guaranteed to have the opportunity to dine at Boatwright’s and don’t have to worry about being turned away or having to wait for a long period of time for a table. 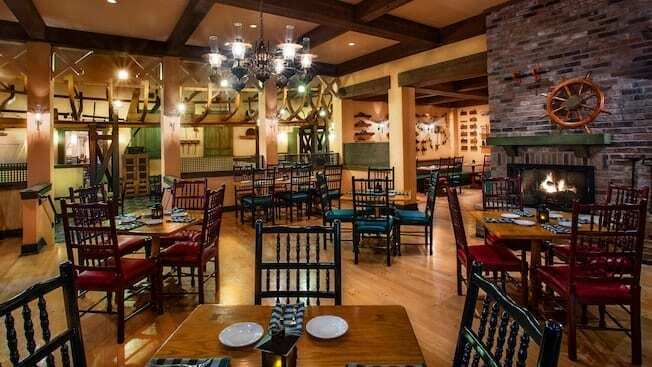 Have you ever had the chance to dine at Boatwright’s dining hall? We’d love to hear about your experience!